The stairs are covered with cardboard to protect them, but they are matching oak as well. 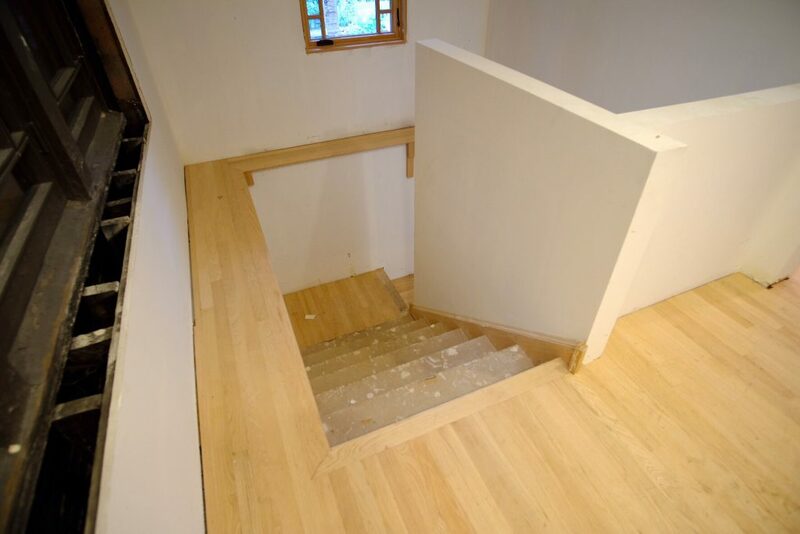 A view looking down the stairs at the landing (which contains one step down). 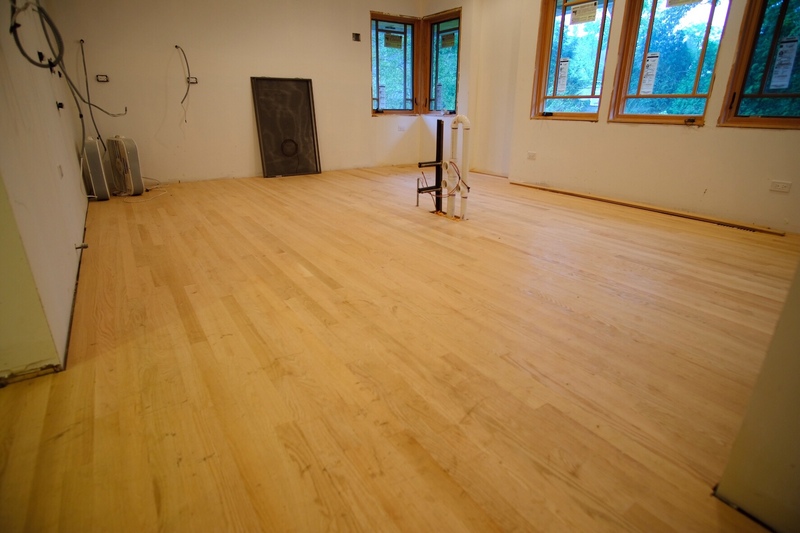 The strip oak floor changes direction intentionally to line up with the “bull nose” step piece. 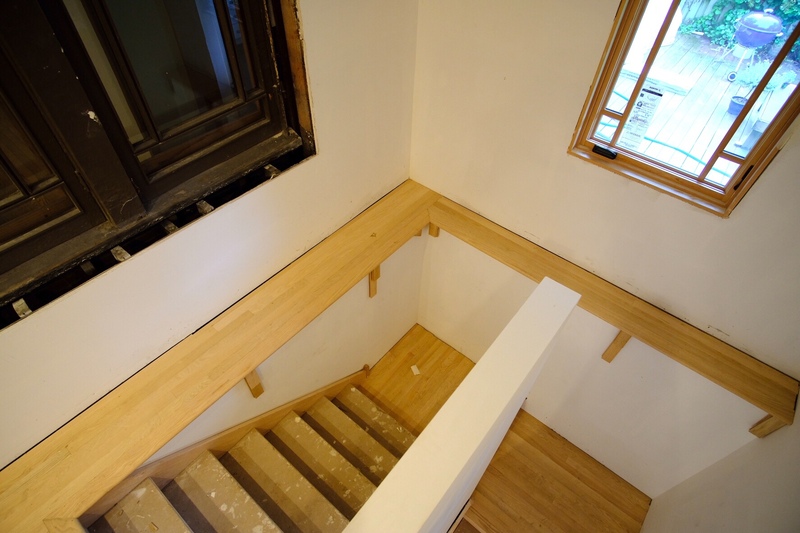 There are temporary support pieces that will be replaced with a piece of oak trim that will be installed on the wall under the floor surround. 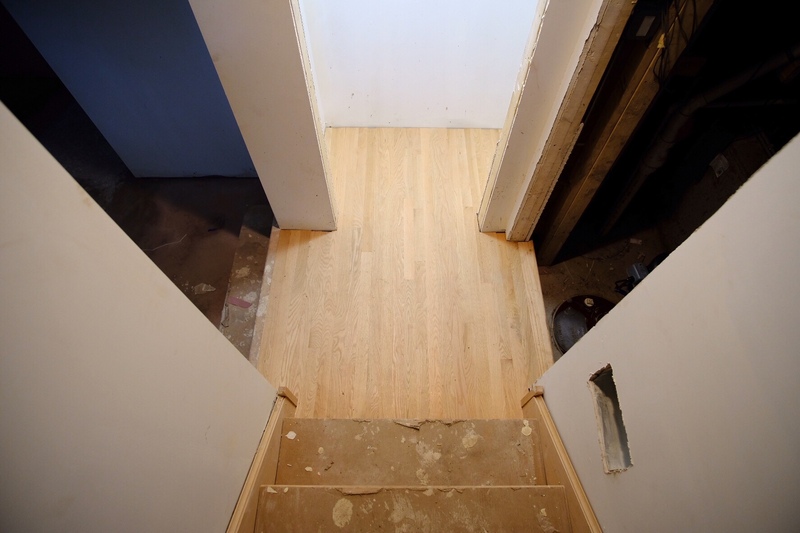 The bottom of the stairs, with the floor continuing into the hall closet. A door will be installed at the right (to the pumps) and ahead (the closet). We could not install another door at the left because of the step down. 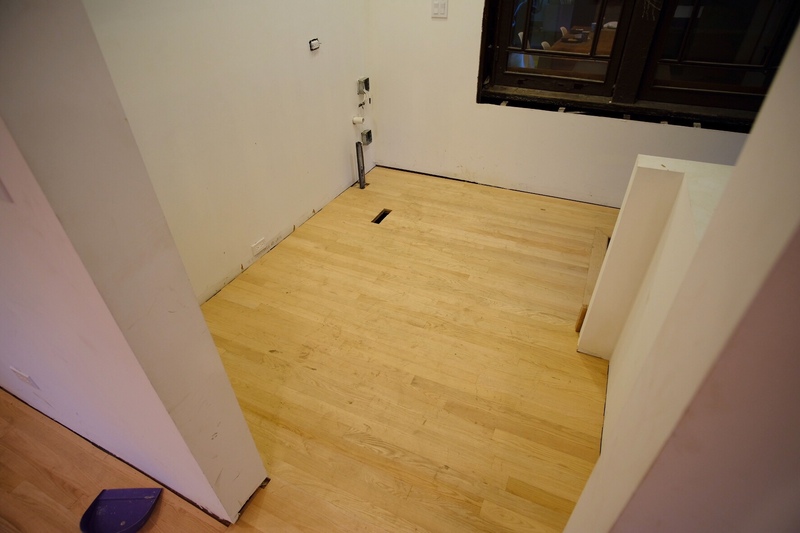 Doesn’t the floor look great continuing into the mud room? 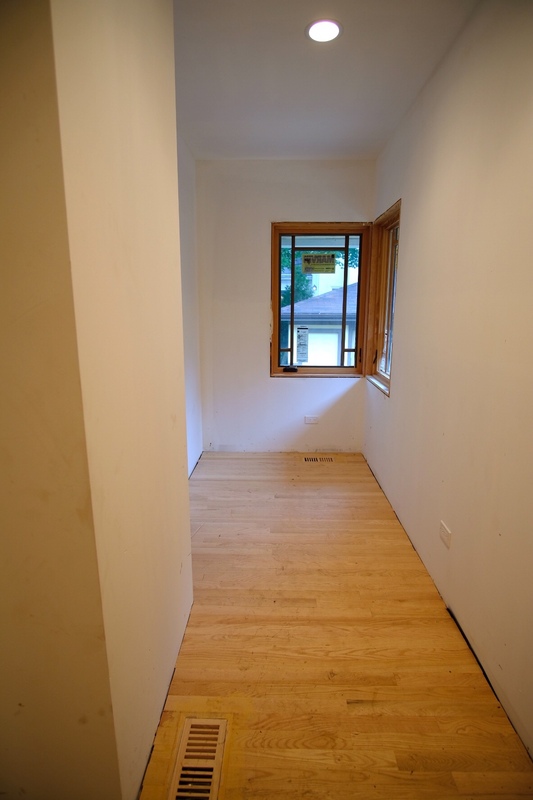 The mud room. Doesn’t it look great? Just one small problem. 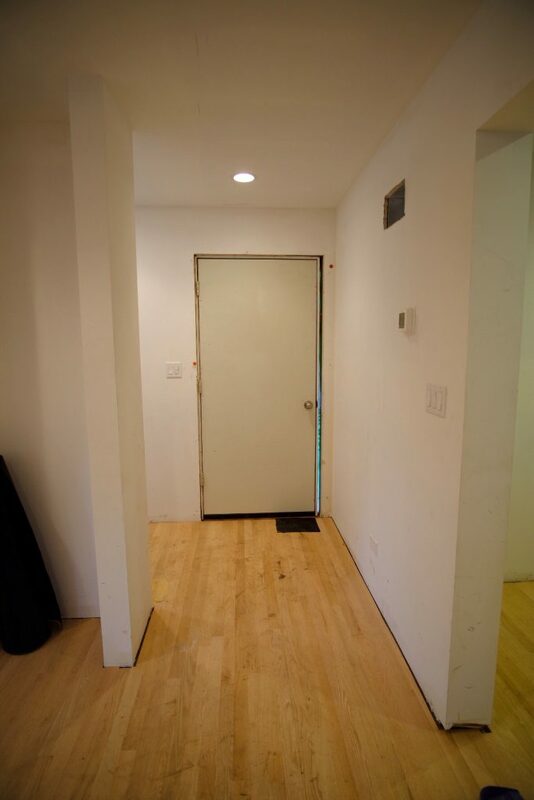 The mudroom was supposed to be tile, not wood. 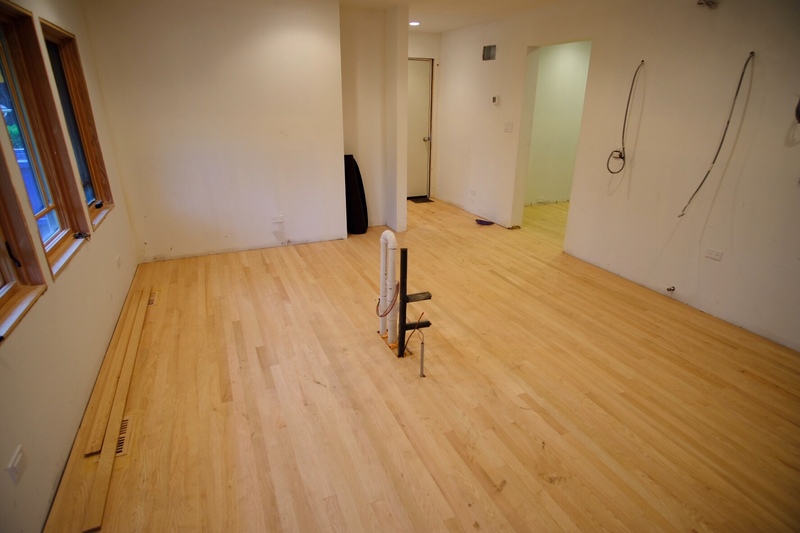 Previous Previous post: Update: floors and cabinets coming next! Next Next post: Lots of progress to report!